Another Kentucky Bourbon that’s making great inroads in the UK at the moment is the rather interestingly named Buffalo Trace. Apparently so called as it is distilled in what claims to be the longest continuously operating distillery in the USA which was originally on the site in 1775, right next to a Buffalo river crossing. Unlike a lot of distilleries in the USA which were shut down during prohibition this one was allowed to continue producing “For medicinal purposes” – sounds like a fair excuse to me. Buffalo Trace as a brand has been around only since 1999 when both the brand and this Bourbon appeared under this name. Incredibly well received by critics ever since and available internationally it’s priced very competitively and sold as a Whiskey for drinking. I mean you really can’t argue for the quality of whiskey you get for the price with this one. Complex and spicy, very deep with sweet toffee tones. Looks and smells good in the glass. Huge, beautifully coating the tongue and providing one of the best mouth feels of a Bourbon I’ve had. Corn and Rye both present but it’s the vanilla spice that really shows here and provides a wonderful depth of experience. Clear Butterscotch all the way through. More spice and clear Cinnamon here with an oakiness that is lacking in char but tasting almost fresh. It’s a lovely long finish and keeps providing new glimpses of flavor as it tapers away. Peppery with a light smoke, not at all rough but well balanced and leaves you wanting more. This is truly an evocative Bourbon. It tastes like the best of the South. Huge in presence and personality. Shouting of beautiful warm evenings in good surroundings. An incredibly easy drink. In all honesty, I wasn’t expecting much from this. The price is too low, the opinions from other reviews and blogs online suggest it’s a good staple but nothing special. I have to say that in quite a rare gesture I ended up buying a bottle of this for myself after the review sample was done. The incredibly evocative experience this gives along with such a fantastic overall feel leads me to the realization that this could be one of the best value Bourbons out there. A truly stupendous taste with such complexity and depth for a fantastic price. It seems too good to be true. There are some who say that the USA version is superior to the UK one and that the International offering just isn’t up to scratch but from what I’ve had that simply isn’t the case. It’s a serious and well- rounded drink and one that should be taken seriously by anyone who’s interested in Bourbon. If you haven’t tried this before I would strongly suggest that the next bottle you look to buy is one of these, I certainly will be buying more and keeping it in the cabinet to give to people to try – it really is that good. 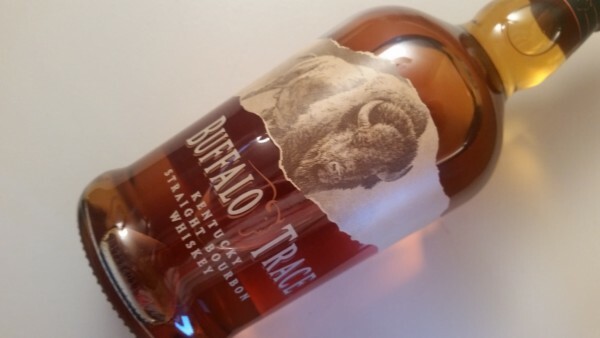 This review of the standard Buffalo Trace Bourbon first appeared on WhiskeyBon.